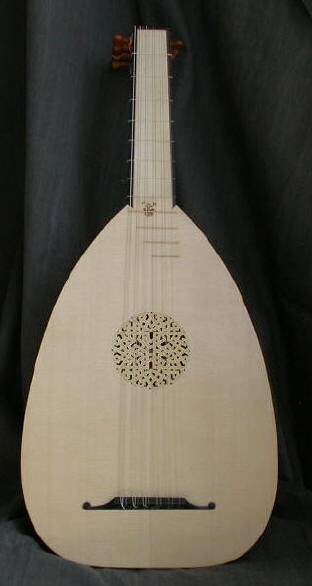 _ Five course lute. Own design based on iconography. String length 520 mm. Nine ribs in cypress wood. Neck and pegbox veneered with pear wood. 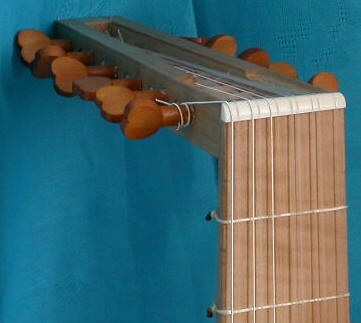 Apple wood fingerboard. Heart shaped pear wood pegs. _ Six course lute after G.Gerle (Innsbruck s.d.). String length 590 mm. 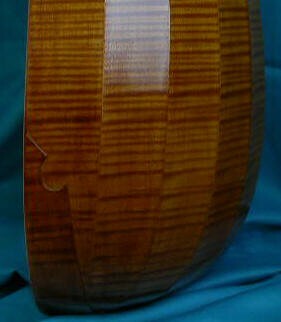 Neck veneered in holly with ebony and plum wood inlay. Hornbeam fingerboard with plum wood and ebony fillets. Heart shaped plum wood pegs. Birdseye or quilted (+100 euro) maple ribs. _ A close copy of the original is available as well with the ivory replaced with holly and casein ivory. _ Six course lute after H.Frei (Bologna ca. 1530). String length 620 mm. Eleven ribs in flamed maple. 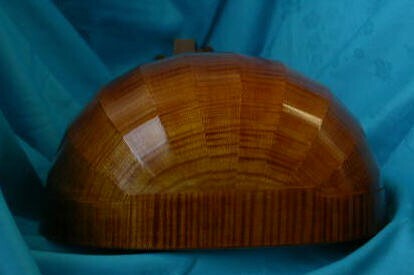 Neck and pegbox veneered with fruit wood. 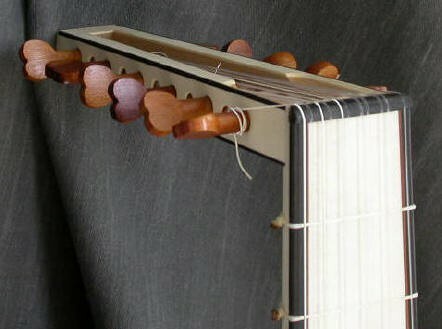 Fruit wood fingerboard. Heart shaped pear wood pegs. A close copy of the original is available as well with the ivory replaced with holly and casein ivory. Price: 2205,00 euro. 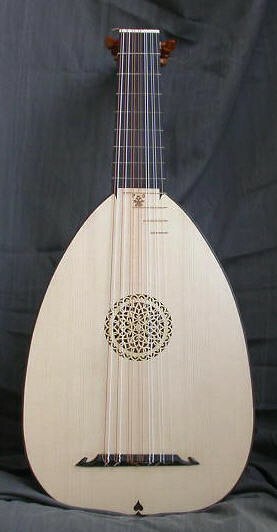 _ Descant lute after "W.E." (Vendelino Eberle - Padova s.d.). Nineteen shaded yew wood ribs. String length 440 mm. 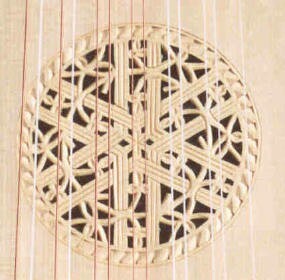 _Seven course lute in A after J. Hes (Venezia 1586). String length 540 mm. 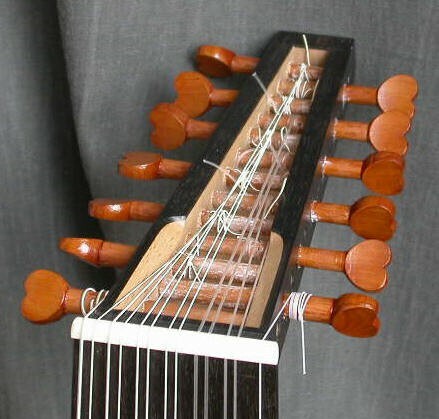 Fifteen ribs in holly with triple spacers. 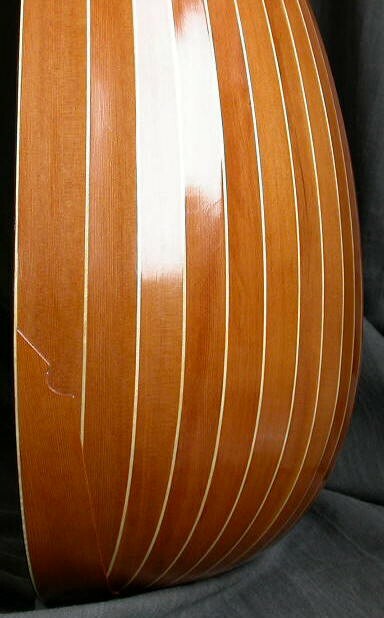 Neck and pegbox veneered with casein ivory stripes with triple spacers. Holly pegs. 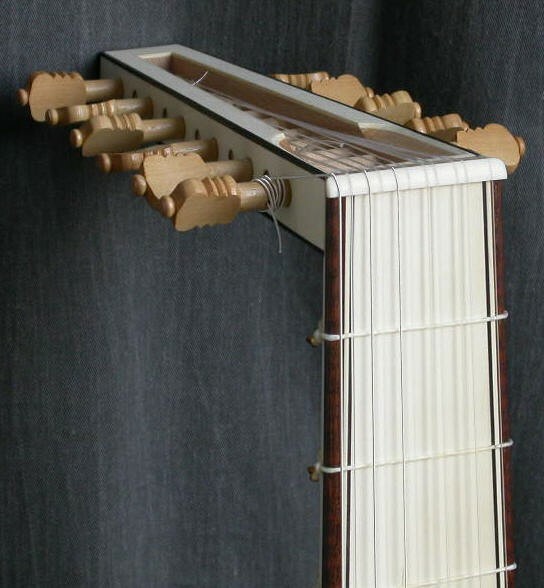 Casein ivory fingerboard edged with ebony. Also available in six course version. Price: 7 course version: 2415,00 euro. 6 course version: 2310,00 euro. A plain version is available as well in cypress ribs with ebony spacers or plum ribs with holly spacers. Neck and pegbox veneered with fruitwood. 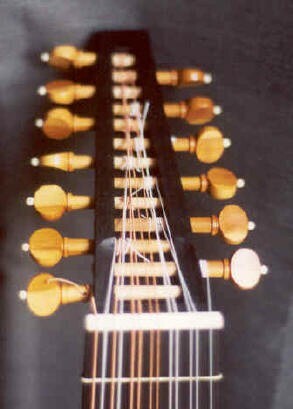 Ebony fingerboard. Price: 7 course version: 1995,00 euro. 6 course version: 1890,00 euro. _ Seven course lute after G. Hieber (Venezia s.d.). String length 590 mm. 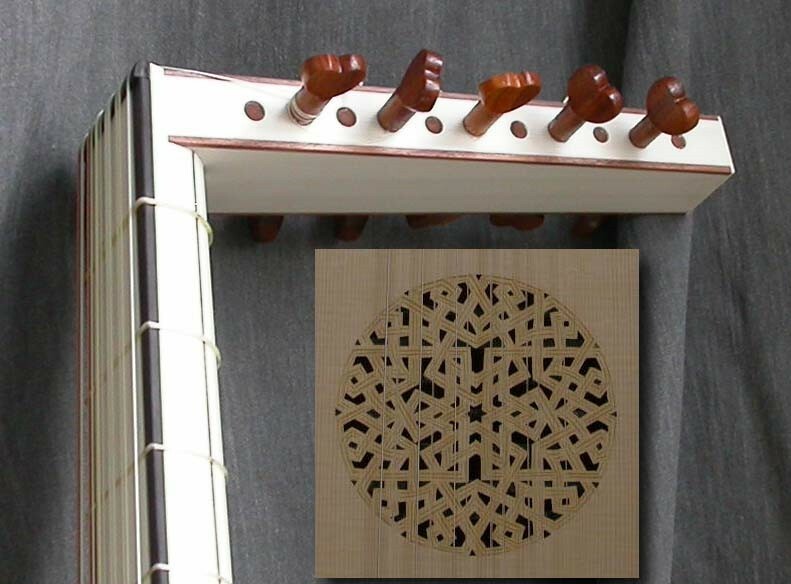 Thirteen ribs in birdseye or quilted maple with ebony spacers or plum with holly spacers. Price: 1750,00 euro (quilted maple version: 1850,00 euro). Also available as an eight course version. Price: 1850,00 euro (quilted maple version: Price: 1950,00 euro). _ Seven course lute after V.Venere I (Padova 1592). String length 590 mm. Twenty-five ribs in yew wood with maple spacers or cypress with ebony spacers. Neck and fingerboard veneered with ebony. Price: 2730,00 euro (striped neck and pegbox + 10 %). Cypress ribs version: Price: 2205,00 euro. Also available as an eight course version. Price of the plain version: 2835,00 euro. Cypress ribs version: price: 2310,00 euro. 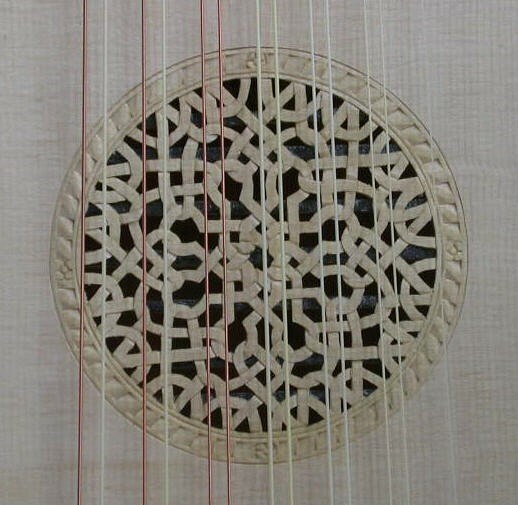 Sound samples: - G.C.Barbetta Padovano: Padoana Ottava (from CD "De Auditu" 2003), played by Terrell Stone. 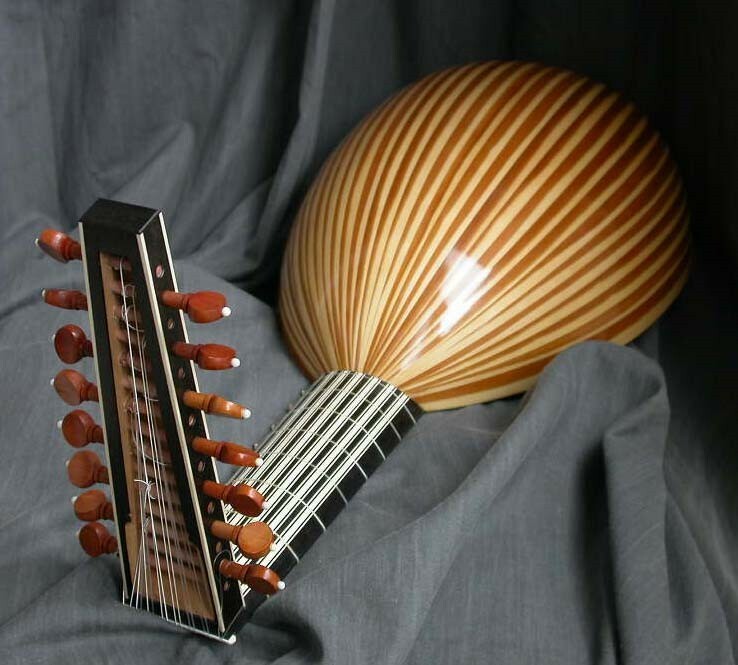 - J. Dowland: Tarleton’s Riserrectione played by David Dolata (demo from the book: "Meantone Temperaments on Lutes and Viols" edited by Indiana University Press). 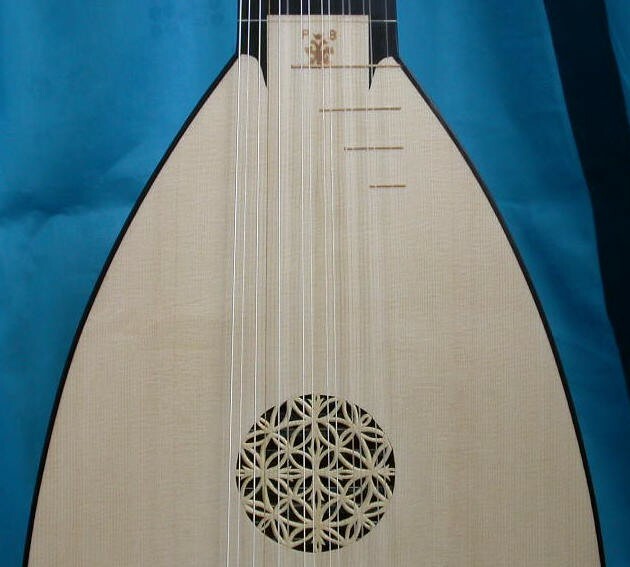 _ Eight course lute after M.Tieffenbrucker (Venezia 1612). String length 640 mm. 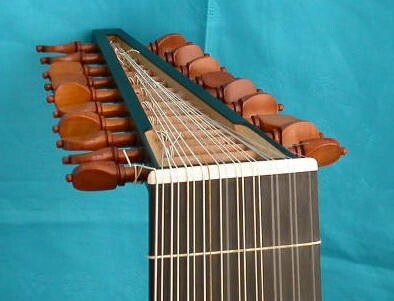 Thirteen ribs of woods such as birdseye or quilted maple or cypress with ebony spacers, rosewood or kingwood with holly spacers. Also available with plum wood ribs without spacers. 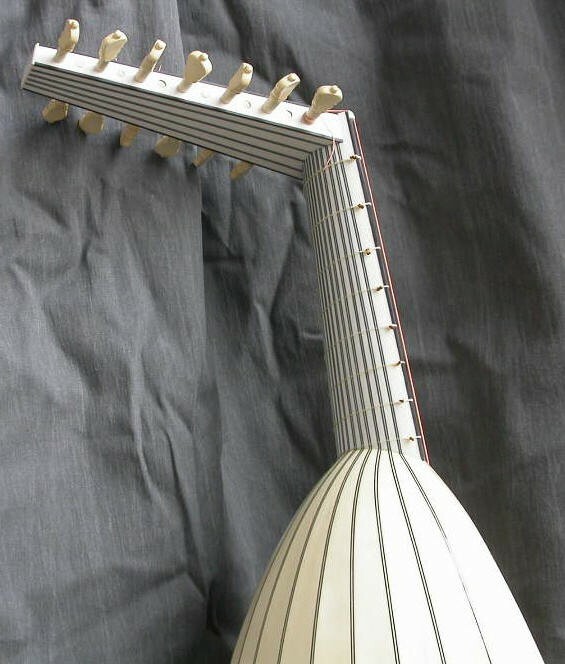 Price: 1890,00 euro (Plum or quilted wood version: price: 1995,00 euro). 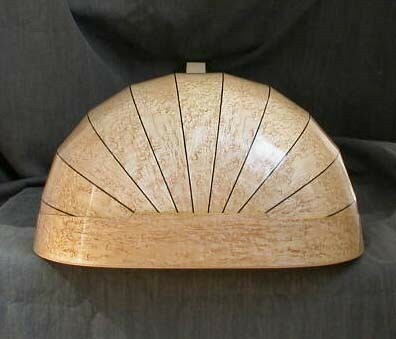 Also available with shaded yew ribs back, like the original. Price: 3307,00 euro. A version with striped neck and pegbox is available as well. Price: 3465,00. 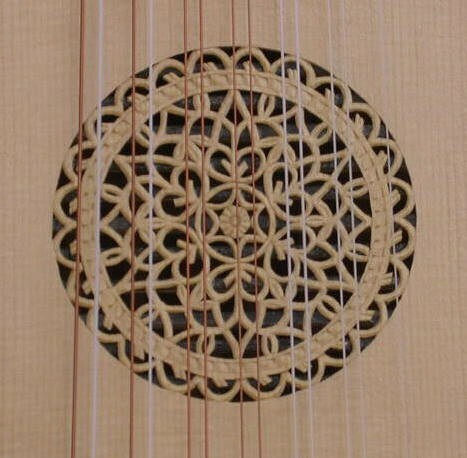 Sound sample: J. Dowland: Galliard on Walsingham (excerpt) played by Davide Franco. _ Eigth course lute after H.Frei (Bologna ca. 1530). String length 620 mm. 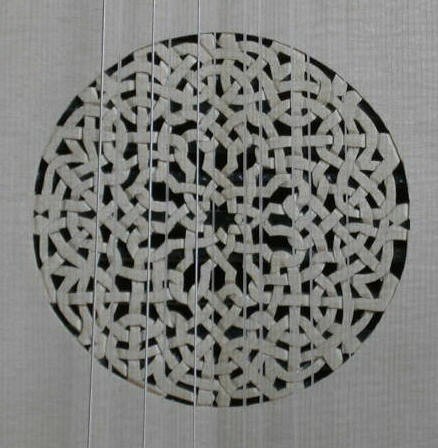 Eleven ribs in birdseye or quilted (+100 euro) maple. Price: 1800,00 euro . 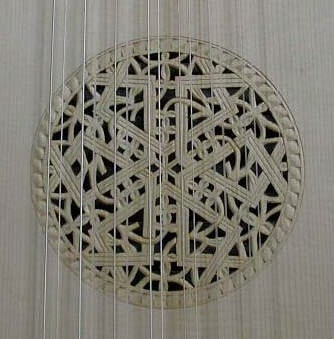 _ Bass lute after M.Harton (Padova 1599) . String length 750 mm. 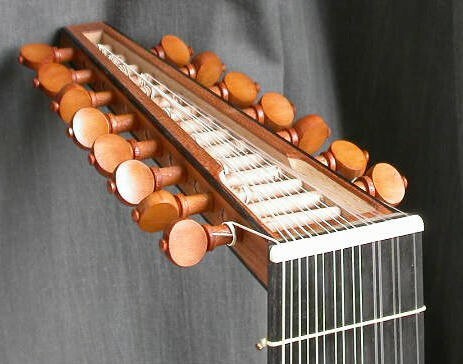 Thirty-three ribs in rosewood with boxwood or holly spacers (also available with shaded yew ribs). 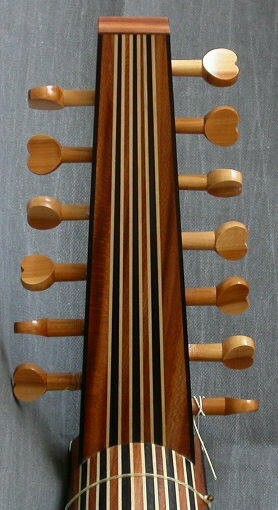 Neck veneered with ebony strips with holly spacers. 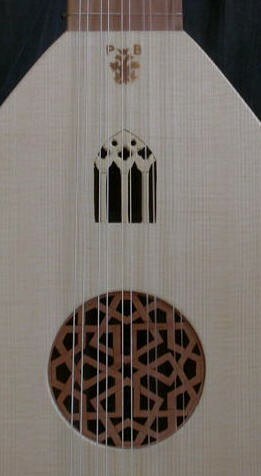 Price: 2362,00 euro (2467,00 euro will cost the version with holly spacers between the ribs). 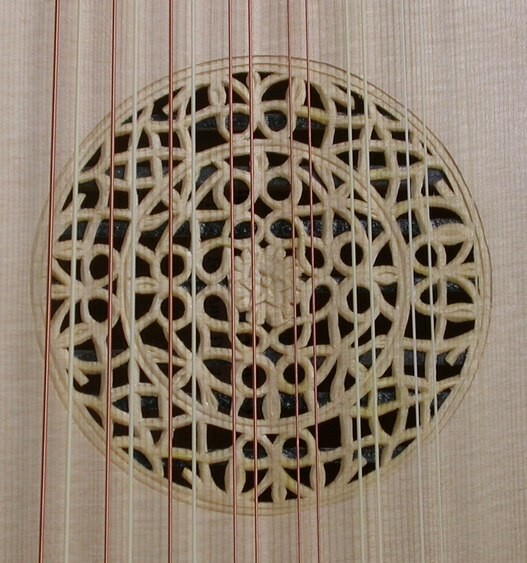 Price of the version with shaded yew wood ribs: 4043,00 euro. 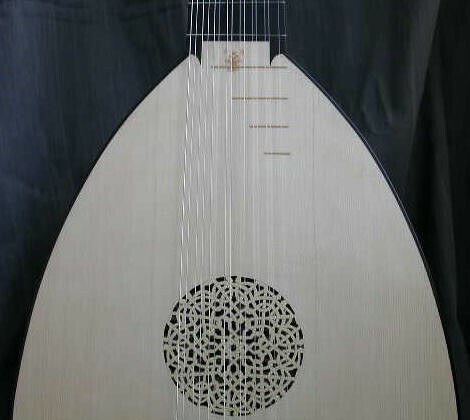 _ Ten course lute after H.Frei (Bologna s.d.). String length 620 mm. Eleven ribs in birdseye or quilted (+100 euro) maple. Also available with a string length of 680 mm. 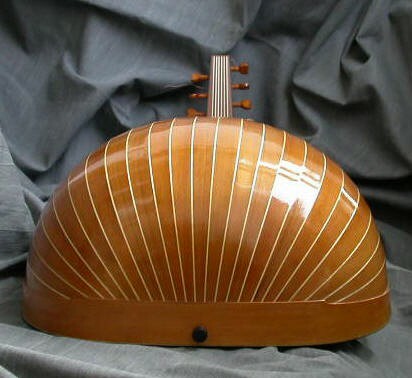 (like the "original" before the conversion to an 11 course baroque lute in D minor tuning). 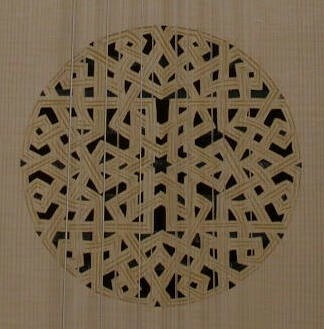 _ Ten course lute after M.Tieffenbrucker. Diapason 640 mm. Price: 1995,00 euro .